Soy protein powders are a common way for athletes, bodybuilders and other people to incorporate a higher amount of vegetable-based protein in their diets. Rice protein powder is a protein powder variant created from the isolation of available proteins in a whole grain, white, or brown rice. White Mulberry has been in existence for about 4,000 years now. No one knew the benefits of the tree, or its leaves, at this time, and so it was used as a source of food for silkworms. It wouldn't take long for the discovery of White Mulberry's health benefits to be discovered, and the rest is history! White kidney bean extract is a supplement that is meant to aid in weight loss by preventing the digestion and absorption of carbs. Schisandra (also spelled schizandra) is a fruit-bearing plant used in Traditional Chinese Medicine (TCM). It grows as a woody, creeping vine that flowers and gives grape-like clusters of small, red berries. Red raspberry leaf, or Rubus idaeus, has a more rich and varied history than first meets the eye. According to health expert Dr. Weil, the first recorded use of red raspberry leaf for health purposes actually dates all the way back to 1597! 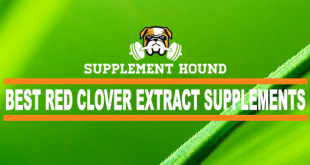 Red clover extract comes from the red clover plant, which belongs to the legume family (along with beans, lentils, and peas). Pygeum is an herbal dietary supplement prepared from the plant Prunus africana (or, alternately, Pygeum africanum). Plant based protein powder includes any protein supplement that comes from a plant, rather than those that are made from animal products, such as whey or eggs. Pea protein powder is a high-quality, plant-based, vegan protein source made from dried, defatted and ground split green or yellow peas. 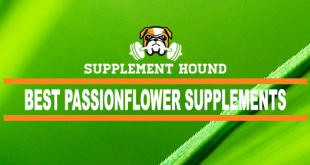 Passionflower is a calming herb that is very effective for insomnia and anxiety. It has relatively few side effects. 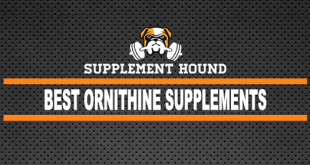 Ornithine is one of many amino acids the body has various uses for, the most important one being the urea cycle, which is sometimes called the ornithine cycle according to News Medical Life Sciences. 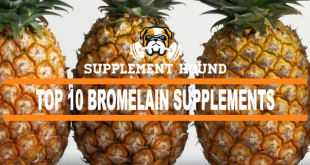 Bromelain is a protein-digesting enzyme that is found in pineapple juice and pineapple stem. It is sometimes called "pineapple extract". Nigella sativa is a supplement better known as a plant or herb called black cumin, black seed or fennel flower. Most maqui berry bushes are found throughout southern Chile and parts of Argentina. Officially called Aristotelia chilensis, maqui berries are purple in color and are in such abundance in southern Chile that cultivation of the berry isn't necessary at this moment. As its name suggests, magnolia bark comes from the magnolia tree. While magnolia trees are widely popular for their lush foliage and fragrant spring blossoms, at least in Western culture, use of the bark for supplement purposes is less well known. Jiaogulan sounds complicated or strange, but this wild plant from China is often called by different names that might be more common. Hoodia gordonii is commonly referred to as hoodia. Technically, hoodia is the name of the family of plants to which Hoodia gordonii belongs. 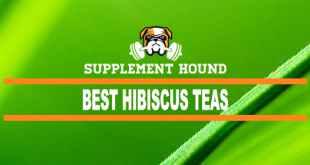 Hibiscus teas are an infusion of calyces of the roselle flowers (Hibiscus sabdariffa). Hibiscus is found in tropical climates and most likely originated in West Africa before being cultivated throughout Asia, India and the Caribean. Hesperidin is a molecule found in citrus fruit; its name comes from “hesperidium,” the Latin name for a citrus fruit. Along with similar plant flavonoid substances, it is sometimes referred to as vitamin P, but hesperedin is not actually a vitamin. Hemp hearts and seeds are some of the most nutritious snacks you can find. According to Hempseed, hemp hearts and seeds are essentially one and the same. The term "hemp hearts" refers to shelled hemp seeds. The term "hemp seeds" can refer to shelled or unshelled hemp seeds. Guggul comes from the Commiphora Mukul Tree. This tree grows throughout India. Ayurvedic medicine is a form of healing that has been practiced in this area for centuries, and Guugul is an important part of their treatment when it comes to the pain associated with many diseases. Goldenseal is an herb native to the eastern United States and southeastern Canada. A member of the buttercup family, goldenseal grows annually. Goldenseal is a top-selling herb, prized for its medicinal properties and its ability to both prevent the common cold and alleviate cold-related symptoms. Fucoxanthin is a weight management supplement that specifically supports fat loss, according to Dr. Josh Axe. It is available in several common forms, such as capsule, pill, softgel, vcap and bulk. Fucoxanthin supplements often contain stacks of fucoxanthin with other compounds that aid in fat metobolism or absorption, such as omega fatty acids and punicic acid. Cissus quadrangularis bears a somewhat intimidating name, but in reality it is a member of the greater family of grape plants. According to Herb Wisdom, Cissus quadrangularis grows plentifully throughout much of Asia and Africa and may originally hail from India. 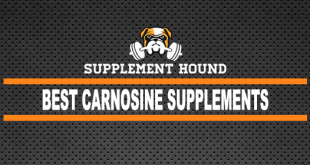 Typically found in the human body, Carnosine is an amino acid that is concentrated most densely in the heart, muscles, and brain and plays a crucial role in how these parts develop and continue to perform over the course of our lives. Made from a shrub found in various locations around the world, Butcher's Broom has been used throughout history to treat a variety of ailments. 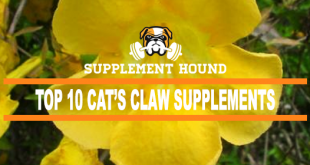 Today, the supplement is readily available to fix circulation problems and improve overall health. Bladderwrack is one type of seaweed. Its scientific name is Fucus vesiculosis. The name “bladderwrack” comes from the air-filled sacs, or bladders, that help the plant float so it can collect the sunlight it needs. Bitter Orange is a tree that produces a round, orange, and extremely bitter-tasting fruit. The tree is native to Southeast Asia and Africa. 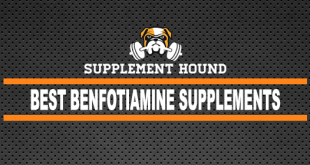 Benfotiamine is a chemical form of vitamin B1 that’s fat-soluble and has been used to treat a variety of conditions ranging from neuropathy to blindness and kidney failure. The banaba tree is a member of the crepe myrtle family. According to eMedicineHealth, the tree grows wild throughout India, Southeast Asia and the Philippines. It has also been successfully introduced in parts of Africa, Jamaica and the United States. Neuro-boosters are quickly becoming some of the most high-selling supplements on the market. People with various disorders and diseases, as well as those just looking to improve their memory and cognitive functions, are using Bacopa monnieri to give their brains the boost they are looking for. Artichokes are a very popular edible vegetable. All parts of the artichoke are edible, from the heart to the leaves, and are quite delicious. There is nothing quite like the bark of the ancient Terminalia tree that is often known for its powerful extract, arjuna. Andrographis is a well known herb supplement in the ancient Indian school of Ayurvedic medicine. However, it is less well known in modern Western culture, although with more research that is slowly changing. Amla (Phyllanthus Emblica), is an edible fruit tree native to the Indian subcontinent. The name Amla is derived from the ancient Sanskrit name for the fruit- "Amalika". In this new era of ever-lengthening lifespans, more research is being done on how to improve not just duration of life but quality as well. African mango supplements are designed to make it easier to lose weight, and they’re created from the seeds of an African fruit. 7-Keto is a powerful derivative of dehydroepiandrosterone (DHEA), a steroid. DHEA is a product of your adrenal glands and is the most plentiful steroid in your body at any given time, according to Dr. Josh Axe. Green coffee bean extract has gained popularity over the years due to its weight loss effect. The extract first gained national recognition by Dr. Mehmet Oz, who believed that the pills could significantly aid in weight loss. 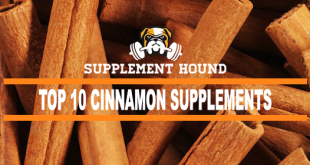 You are probably familiar with cinnamon as a popular spice. While used as a spice is one of the most popular and well known uses for cinnamon, there are also tons of health benefits from the extract of cinnamon tree bark. Vitex agnus-castus, chasteberry or chaste tree is native to Greece and Italy. It is now grown in North America and Asia as well. It is part of the Verbenaceae plant family. Triphala is a well known supplement that has been used for nearly 2,000 years. Starting in India, it is considered one of the best herbal formulas to treat common health ailments, as well as a staple in Ayurvedic medicine. Tongkat Ali is a tree that grows in many Southeast Asia countries, including Thailand and Malaysia. The tree root of the Tongkat Ali is beneficial, containing alkaloids and quassinoids that improve the health and well-being of the individual consuming it via tea, coffee, pill, or energy drinks. Serine, which can be found in foods (such as eggs whites, spirulina, and lima beans), is a non-essential amino acid that our bodies make. A molecule that is common in your favorite red wines and berries may actually present health benefits that will shock you. Psyllium seed is a soluble fiber grown primarily in India. It is often referred to as psyllium husk or psyllium powder. It has been taken for centuries as a bulking laxative. 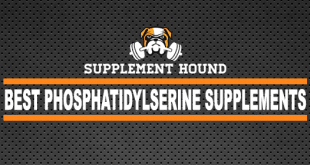 Phosphatidylserine (PS) is one of the basic building blocks of healthy cell membranes and brain tissue. Your body utilizes PS to build and maintain new brain tissue. 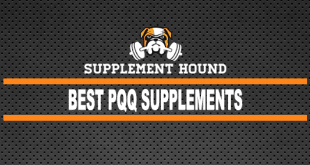 PS interacts synergistically with EPA and DHA, omega-3 fatty acids most abundant in seafood. Nitrates are used in the body as nitric oxide, a molecule most effective at transporting oxygen to your muscles by way of increased blood flow. Neem, Nimtree, Ineem and Indian Lilac are names that are used to describe a tree in the mahogany family. The bark, seeds and leaves from the tree are used in the making of medicine. In some cases, the fruit, flower and the root are also used to make medicine. It is a protein that naturally occurs in a Japanese food called natto. The dish is made from boiled soybeans, and they're fermented with a bacterium called bacillus natto. This specific fermentation process is required for the creation of the protein. Nattokinase can speed up biochemical reactions in the body. Mucuna pruriens is a climbing legume plant that is native to southern China and eastern India. It is now cultivated in many parts of the world as both food and medicine. Moringa oleifera is also known as drumstick tree, horseradish tree or ben oil tree. This fascinating plant is native to the Himalayan foothills, and it now grows in tropical climates all over the world. Lysine, scientific name diaminohexanoic acid or alpha-epsilon-diaminocaproic acid, is an essential amino acid, which means that the body requires it for daily function and maintenance. Lecithin forms a constituent of cell plasma membranes. 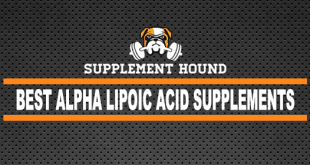 Also frequently called "phosphatidylcholine", it occurs extensively in the cells comprising living organisms. HMB, β-Hydroxy β-Methylbutyrate, is a metabolite of leucine, an essential amino acid. The body can make HMB from the leucine found in foods. Glucomannan is a naturally-occurring dietary fiber that is frequently used as a weight loss supplement. It is extracted from the konjac plant (otherwise known as Amorphophallus konjac). Folate, also known as vitamin B-9, is a water-soluble B vitamin which exists naturally in food sources. It can be fortified into certain enhanced or packaged food products, or it may be available as a supplement. 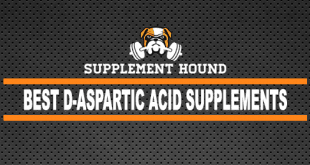 If you have ever browsed through a selection of testosterone boosters, chances are that you have come across D-Aspartic Acid (DAA) supplements. Cordyceps supplements achieved popularity recently, although in parts of Asia this dietary product derived from a fungus has played a celebrated role in folk medicine for centuries. If you have shopped for or even purchased natural supplements in the past, chances are that you have seen the name Ashwagandha printed out as an ingredient on a package's Supplement Facts list. L-Tyrosine, formally known as 4-hydroxyphenylalanine, is one of the amino acids the human body uses to produce its various proteins. Tribulus terrestris is a spiny, fruit-producing plant native to the area surrounding the Mediterranean Sea, southern Asia, and Australia. According to some claims, pyruvate supplements are said to be useful for treating cataracts, cancer, and high cholesterol as well as obesity. However, not all of these effects are supported by scientific evidence. Pycnogenol is an extract from pine bark, but not just any pine bark. Pycnogenol comes from the bark of the French maritime pine tree. Holy basil has long been used in the traditional Ayurvedic medicine system of India. Ayurveda is considered to be one of the world’s oldest systems of organized medicine, and possibly the oldest still in practice. Kudzu is a type of climbing vine originating from East Asia. The plant is edible and is commonly used for a variety of medicines. Since 200 B.C. it has prominently found its way into Chinese medical practices and to this day is still used in Asia. Other uses of this plant include treating alcoholism, high blood pressure, colds, cases of flu, and sinus infections. Inositol supplements are natural nutritional supplements sold over the counter to anyone who would like to try the effects of natural supplements to better their mental health without synthetic or chemical drugs. Even if you have never heard of glycine before reading this article, your entire body needs it in order to run efficiently. Many of us try to eat a complete diet that provides us with all the nutrients and vitamins we need. Unfortunately, eating well-rounded meals can be difficult, especially if we’re deficient in certain nutrients. In order to get the minerals we really need, many of us turn to supplements. Chondroitin supplements are widely available over the counter for help with symptoms of aging, such as osteoarthritis, joint pain and function, and pain with inflammation. Chamomile is a well-known addition to beverages and is particularly loved as an caffeine-free alternative to black tea. Found in oceans, rocks, coal, soil, and some foods, boron is an element that occurs naturally. There have been several uses for boron throughout history, including between the years 1870 and 1920 when it was used as a food preservative. Bitter melon is a plant used as a food source in India and some other parts of Asia. It also grows in the tropical regions of Africa, the Caribbean, and South America. The scientific name of the plant is Momordica charantia. Berberine supplement is a type of yellow bitter-tasting mineral found in plants. For years, the supplement was most used to help moderate diabetes in humans but also has many other uses help to treat cholesterol, stomach disorders, and heart disease. Ever feel sluggish or like your brain is lost in a fog? 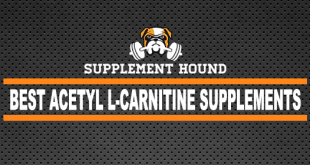 Acetyl-l-carnitine might help bring your brain out of the fog and boost your bodily energy. 5-HTP is a popular supplement that is promoted as a completely natural remedy for depression, anxiety, and sleep disorders. Saw palmetto is a type of palm plant that grows berries that are best used for medical practices. For hundreds of years, these berries were used as food and medicine by Native American tribes in the United States. Riboflavin, also known as vitamin b2, is required by your body to break down the proteins, fats, and carbohydrates that you consume. Additionally, Riboflavin ensures that your body is able to use oxygen. Quercetin is a flavonoid, a pigment that imparts colors to flowers, fruits and vegetables. Flavonoids are antioxidants, compounds that neutralize free radicals and protect your body against free radical-related damage. Noni (also spelled “nonni”) is a tropical fruit tree with the scientific name Morinda citrifolia. Native to Australia, the Pacific Islands, and Southeast Asia, the plant is sometimes seen to grow near lava flows. Krill oil is a substance that is derived from the krill sea creature. It is a small crustacean that looks like a shrimp. Krill oil is made into supplements that are used to treat various health issues. One of these health issues is high triglyceride levels.